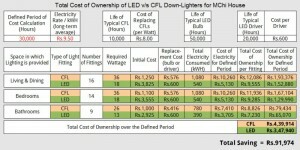 Appreciate your in-depth working to justify the use of LED products. In case you have done any further calculation on CFL Vs. LED for office areas recently, please share !! Thanks Ranjan. 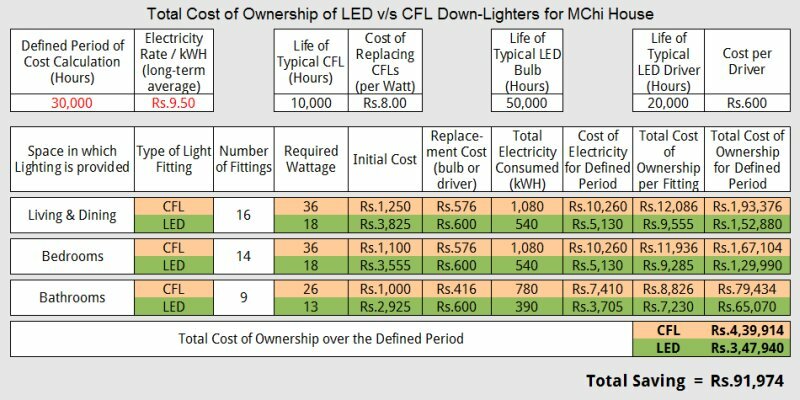 So far, I haven’t done any further calculations but, overall, LEDs are the way to go especially as the prices keep coming down. For a recent commercial space, I was, again, able to convince the clients about the savings and they are happy with the results. For the ShKo bungalow too, we’ll probably have almost all our lighting through LED because we’re using solar power for the most part. Will blog about that when the lighting design is completed. 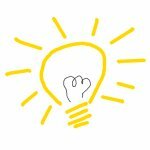 One thing to keep in mind is to get the lights and drivers (which are like the chokes for fluorescent lights) from reputed manufacturer even if the initial cost is a little higher, because quality fluctuates dramatically.